Starbucks has a Smartsource coupon! 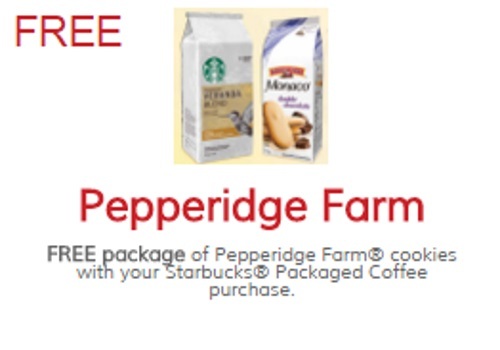 Get a Free package of Pepperidge Farms cookies when you purchase any ground Starbucks packaged coffee. This offer is valid at participating stores when you buy groceries. The coupon is required.